Pacific Blue 2019 Kia Sportage LX AWD 6-Speed Automatic Electronic with Overdrive 2.4L 4-Cylinder Passed Connecticut Safety Inspection, AWD. Sparkling Silver 2019 Kia Sportage LX AWD 6-Speed Automatic Electronic with Overdrive 2.4L 4-Cylinder Passed Connecticut Safety Inspection, AWD. Steel Gray 2019 Kia Sportage LX AWD 6-Speed Automatic Electronic with Overdrive 2.4L 4-Cylinder Passed Connecticut Safety Inspection, AWD. 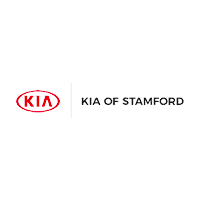 Black Cherry 2019 Kia Sportage LX AWD 6-Speed Automatic Electronic with Overdrive 2.4L 4-Cylinder Passed Connecticut Safety Inspection, AWD. Red 2019 Kia Sportage LX AWD 6-Speed Automatic Electronic with Overdrive 2.4L 4-Cylinder Passed Connecticut Safety Inspection, AWD. Pacific Blue 2019 Kia Sportage EX AWD 6-Speed Automatic Electronic with Overdrive 2.4L 4-Cylinder Passed Connecticut Safety Inspection, AWD.